I’ve seen the headlines saying that we avoided “Carmageddon” and we did. Our agency and the media worked hard to get the message out and we were successful, but the reality is that we could not have done it without you. Highway traffic significantly decreased across Seattle and the Eastside – at times up to 60 percent. The result: We saw minimal backups and reasonable travel times. It’s clear you understand how important preserving our infrastructure is, and when asked, you do your part to help keep people moving when a big project that creates the potential for big traffic impacts. When you think of transportation, it means different things to different people. Some might think about cars with families tucked safely inside, semi-trucks on a long-distance haul, buses packed with commuters, ferry riders crossing Puget Sound, folks on foot in the neighborhood and even Lycra clad cyclists peddling away. Regardless, we must invest in our system to preserve what we have. Sometimes this means making a change to how or when we travel. Changing how we do things is a challenge and delays because of road construction and maintenance can be frustrating. We communicate early to get the word out and we use social media to let you know about unplanned things like emergencies or accidents so that you ‘know before you go’ and while these projects can be frustrating, they are planned with you – the user- in mind. 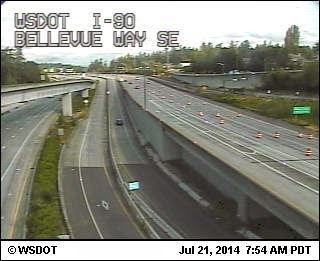 Last week, everyone noticed the choices drivers made to keep traffic moving while hard working contractor crews replaced expansion joints on westbound Interstate 90 between Bellevue and Mercer Island. People changed the way they traveled for seven days, and those choices to telecommute, bike, carpool, take transit and go on vacation paid off in a big way. Many of our roads were built decades ago, and have critical pieces that wear out over time. 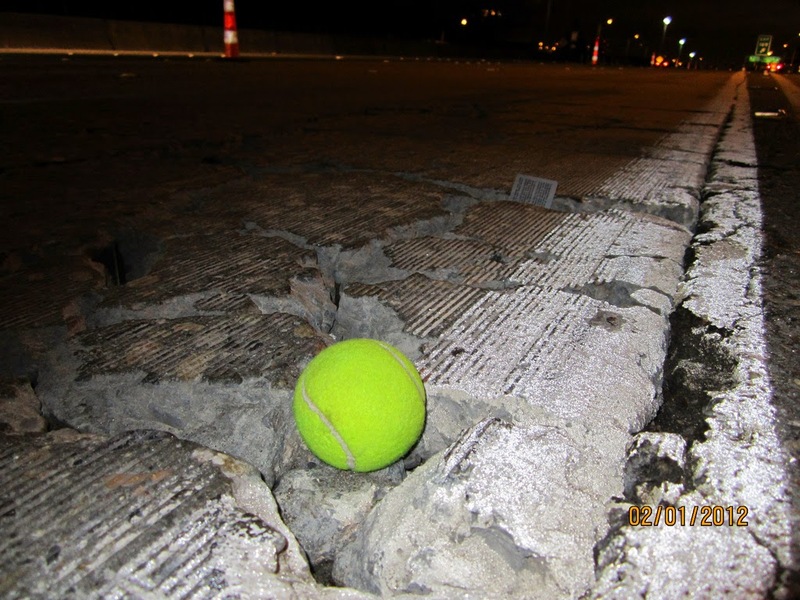 The signs of wear and tear can be found along many major routes around the state. Bumpy rides, potholes and cracking pavement are signs the roadway is aging. Without further action, the deterioration will only get worse, and cost more to fix in the future. State of the concrete on I-5 in the University District. The recent lane closures on I-90 were painful, but in the end it was necessary to keep the corridor open and safe for drivers. An unplanned closure for emergency repairs would have not just affected commuters, but also the economy. In keeping with the Results WSDOT Strategic Plan, we’re looking for ways to invest in our system to keep people and industry moving during the busiest times. Maximizing the limited funding we have available, we’re using a triage approach to fix the worst of the worst by replacing broken and cracked concrete panels or grinding the surface to remove ruts. This has been used on I-5 and 405 with great success. And this month, we’ll begin a project to do the same on a worn stretch of State Route 99 near Seattle’s SODO District. These methods only buy us another 10 years, and it’s imperative that funding becomes available so we can keep people moving safely for decades to come. These projects are designed with your safety in mind, and I want to thank you for your understanding and patience as we move forward in building a safe and sustainable transportation system for years to come. We can’t do this important work without you. This entry was posted on Friday, August 1, 2014 at 9:49 AM and is filed under I-90, Results WSDOT, Sustainable Transportation. You can follow any responses to this entry through the RSS 2.0. You can leave a response.